After receiving no viable interest in the existing buildings for reuse from 2010-2017, the Fort Monmouth Economic Revitalization Authority (FMERA) and New Jersey Economic Development Authority (EDA) staff began to explore how the two authorities could work together to facilitate the demolition and redevelopment of the Myer Center parcel. The former Communications-Electronics Research and Development Center, also known as the Myer Center or the Hexagon, is a former Cold War-era research and engineering building that also served as the CECOM headquarters for the US Army. 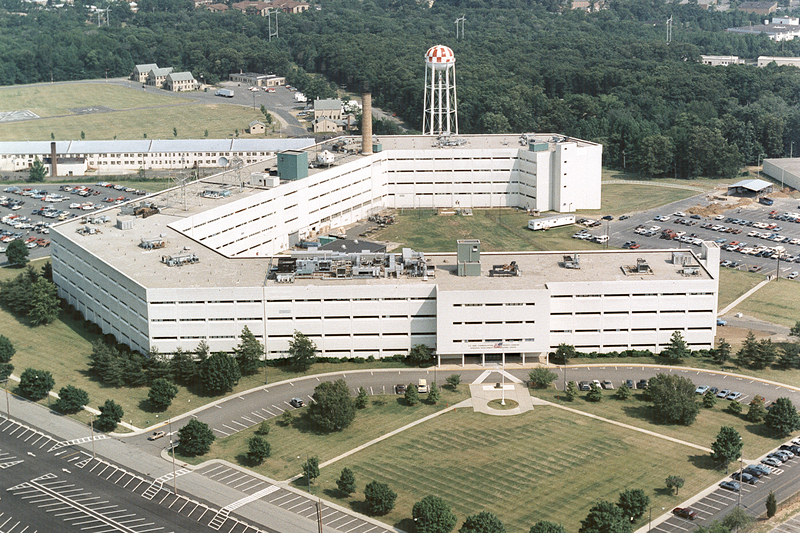 The approximately 650,000-square-foot structure sits adjacent to the Army’s former Night Vision Lab in the Tinton Falls section of Fort Monmouth. Because of EDA’s experience and expertise in undertaking redevelopment projects, FMERA’s enabling legislation authorized it to enter into designated redevelopment agreements with EDA for property within Fort Monmouth allowing for EDA’s active role in the demolition and redevelopment of the Myer Center parcel. The EDA possesses substantial and significant experience managing large scale demolition and redevelopment projects across the state. In September 2017, FMERA Board members authorized the execution of the Purchase and Sale Agreement between FMERA and EDA for the 36-acre property. The September 2017 resolution also authorized FMERA’s execution of a mortgage on the Property in the amount of EDA’s estimated investment ($7,328,771) to reposition the Property for sale and redevelopment. Following EDA Board approval, the FMERA Board subsequently approved the execution of an Agreement to Assign the Purchase and Sale Agreement between FMERA and RWJBH. RWJBH maintains a large presence throughout New Jersey and FMERA staff is pleased that the health care provider has chosen Fort Monmouth as the location for its newest comprehensive care services campus.